Do not use this medication where to buy augmentin if you have kidney disease.. Nature is counting on you. As a champion of the land, you want to see New York’s wilderness safeguarded against environmental threats and improper use. You rightfully expect safe and accessible trails, clean waterways, and thriving ecosystems in our public lands. You won’t stand for pollution and acid rain. 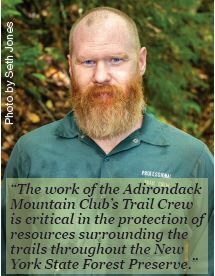 ADK (Adirondack Mountain Club) is with you, working diligently on behalf of our beloved natural places. Everything we do hinges on the support of caring people like you. Will you give today to preserve the places you hold dear? For nearly one hundred years, ADK has upheld its promise to protect the New York State Forest Preserve and other parks, wild lands, and waters. With increasing pressures on the environment and natural resources, this is no time to let up. 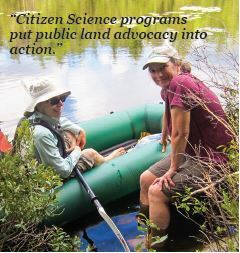 Your tax-deductible contribution will go directly to the proven, boots-on-the-ground actions ADK is known for. Our unique strengths lie in three main areas – advocacy, education, and stewardship. Last year, ADK’s advocacy team worked to keep the Adirondack Park from becoming a junk yard for dilapidated rail cars, successfully lobbied the state for key environmental funding, and defeated a bill that would have allowed all-terrain vehicles on state lands. We now stand ready to join in litigation against the federal Environmental Protection Agency’s proposed Affordable Clean Energy Rule and Mercury Rule changes, which will increase acid rain and air pollution in New York’s wilderness areas. Additionally, we are urging the Governor to fund more New York State Forest Rangers since the current 109-member force is spread far too thin, with each ranger patrolling 53,752 acres on average. Whenever our precious natural places are threatened, ADK takes action. ADK believes education is one of the most effective tools in land preservation and can constructively reduce high use issues in the High Peaks Wilderness and elsewhere. 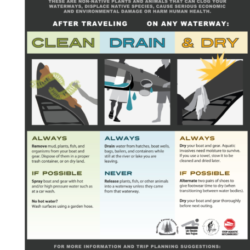 We have direct contact with more than fifty thousand outdoor enthusiasts each year, developing environmental literacy and teaching Leave No Trace principles, outdoor skills, safety, and preparedness. Empowered by this knowledge, hikers share their wilderness ethic with others on the trail, multiplying the impact. ADK also instructs peer groups and trains land managers to employ these methods, and promotes responsible recreation behaviors in publications and on social media. 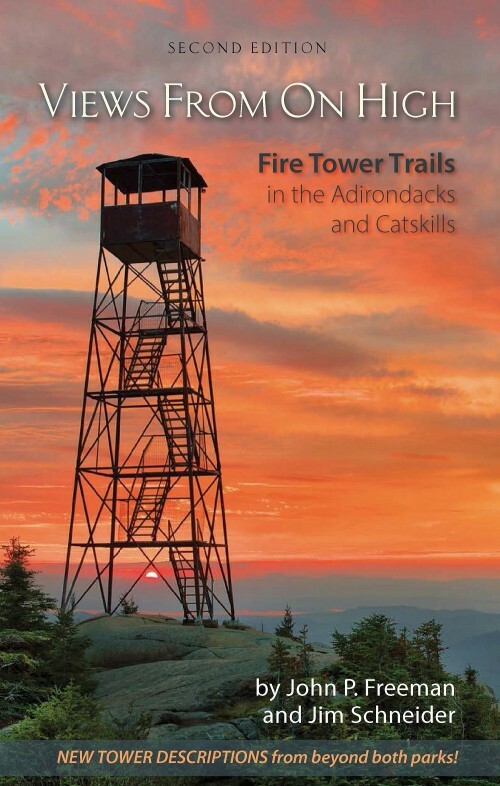 With help from hundreds of dedicated volunteers, ADK’s stewardship efforts protect the trails, mountains, ecosystems, and structures of the Adirondack Park and other New York lands. Together we keep wild areas safely accessible and sustained through trail construction and maintenance, upkeep of nearly 200 Adirondack lean-tos, and monitoring and reporting of invasive species. 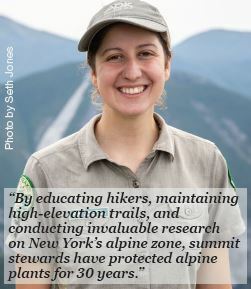 The ADK- staffed Summit Steward Program has engaged more than half a million hikers since its inception thirty years ago, directly leading to the recovery of endangered alpine plant species on New York’s highest peaks. 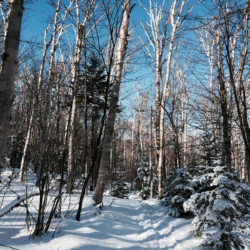 ADK maintains critical partnerships with, among others, New York State’s Department of Environmental Conservation, The Nature Conservancy, the Adirondack Forty-Sixers, and the Catskill Center. ADK’s critical work can only be accomplished with your support. Every alpine plant saved, every trail cleared, every hiker informed, and every acre protected starts with you. 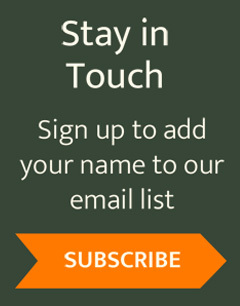 Please invest in nature with your gift to ADK today. 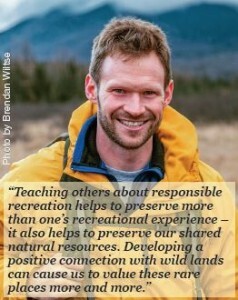 Thank you for your commitment to wilderness. P.S. The protection of our increasingly rare wild places depends upon you…your actions and choices make a world of difference. 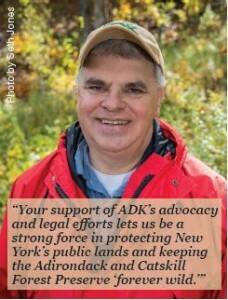 Please support ADK’s advocacy, education, and stewardship efforts with your tax-deductible donation today.